Getting around Southern California has never been easy. But the infamously congested region has grown even more complicated with the arrival of new private services — including ridehail companies such as Lyft and Uber and electric scooter operators such as Bird and Lime — looking to disrupt how people travel. 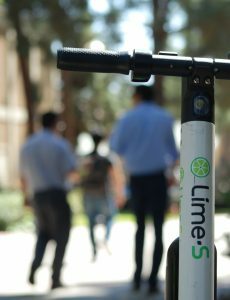 Motorized scooters are often seen at UCLA. As in any field impacted by technology-fueled disruption, transportation policymakers want to find ways to adapt. And that requires taking stock of what the transportation system is meant to do and, more importantly, whom it is meant to serve. The changing nature of travel means different things for elected officials, planners, academics, advocates and tech leaders. 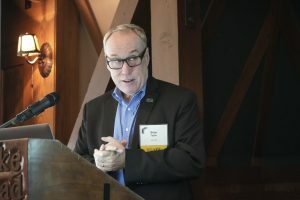 But everyone fundamentally agrees that, as LA Metro chief planning officer and symposium panelist Therese McMillan put it, “there’s a public interest in how private activity happens in a public space.” The modes may change, but the mission of a safe, effective, accessible transportation system remains the same. alone benefits the environment — as well as those profiting from the service. But the way that some tech companies roll out new products — a “move fast and break things” model — often leads to public backlash. Southern California has been ground zero for arguments about the traffic tie-ups and sidewalk clutter allegedly caused by ridehailing and scooters. Public officials are being forced to make policy on the fly — although some such as Francie Stefan, chief mobility officer in Santa Monica, describe that as an opportunity. Santa Monica recently partnered with Lyft, Uber, Bird and Lime to introduce new regulations on the number of e-vehicles in the city while funding infrastructure improvements. 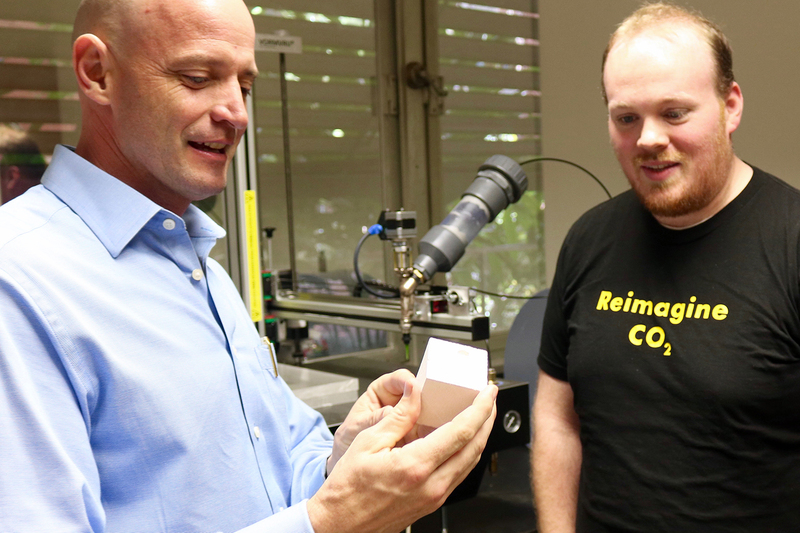 “[We] made a conscious choice to embrace new technology and work through some of the kinks that are inherent in change,” Stefan says. “If we need to do more stuff at the curb, and we need to have those spaces constantly turning over, we can’t have it managed by a static aluminum sign,” Ng explains, outlining how creating a flexible digital management system could allow the same section of curb to be used for parking, ridehail drop-offs, delivery unloading, or as a bike and scooter lane depending on the time of day. New transportation technology can crowd and complicate the use of public space, but it can also help make sure the space is better used to benefit the most people. Urban planners recently adopted a model known as “complete streets” that involves rethinking how shared space is divided between a street and a sidewalk, Loukaitou-Sideris says. This model abandons the assumption that streets are for cars and sidewalks are for pedestrians. People-centered design — of services, systems and infrastructure — is at center stage in these policy discussions. Technology needs to be a tool to help improve transportation for people, not an end goal in itself. 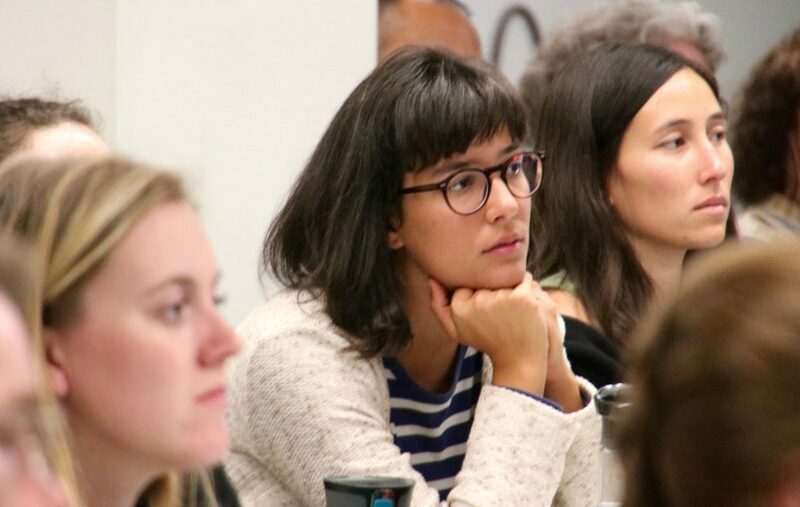 “A lot of people are really annoyed with private capital coming into the mobility space without understanding people’s travel needs,” says Clarrissa Cabansagan of the Bay Area climate change nonprofit TransForm. But tech disruption will be worthwhile if it provides people with more options to get around besides driving their own car, she says. Urban Planning Professor Brian D. Taylor, director of UCLA ITS, co-authored a groundbreaking 2018 study that found that Southern Californians are buying more cars than ever and turning away from public transit. That’s the exact opposite outcome of what policymakers had sought and shows the need to set new priorities for shared public spaces. New and old mobility services could work hand-in-hand to reduce private car travel. Ideally, technology should improve, not replace or eliminate, traditional transit, according to transportation experts. 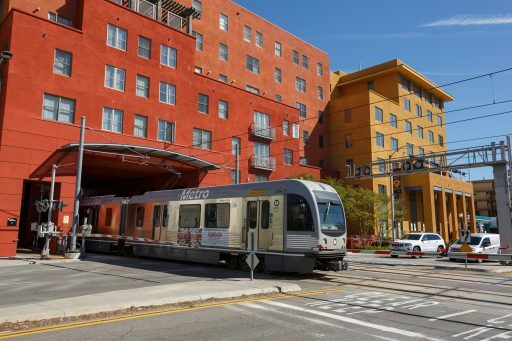 “We should really focus on making the core strength of transit something we do incredibly well,” says Houston-based planner and author Christof Spieler, who spoke at the conference. With transit ridership falling across most of the country, new policies need to make riding the bus as easy as hailing a Lyft, he says, noting that public transit can move many more people much more effectively than any ridehail vehicle or scooter. Bay Area transportation advocate Ratna Amin argues that focusing on riders as people, not cogs in a machine, is key. Seattle is one of just a few American cities to see an increase in transit ridership in recent years. Terry White, the deputy general manager of Seattle’s transit operator, believes one factor has been key to success: an emphasis on making sure service is equitable. That’s ultimately what a better transportation system will mean — mobility for all, regardless of whether they take a bus or ride a scooter. Efficient use of public space lessens the need for gridlocked, polluting private vehicles. The disruption of old transit methods is still in its early stages, with plenty of blind spots to be navigated. 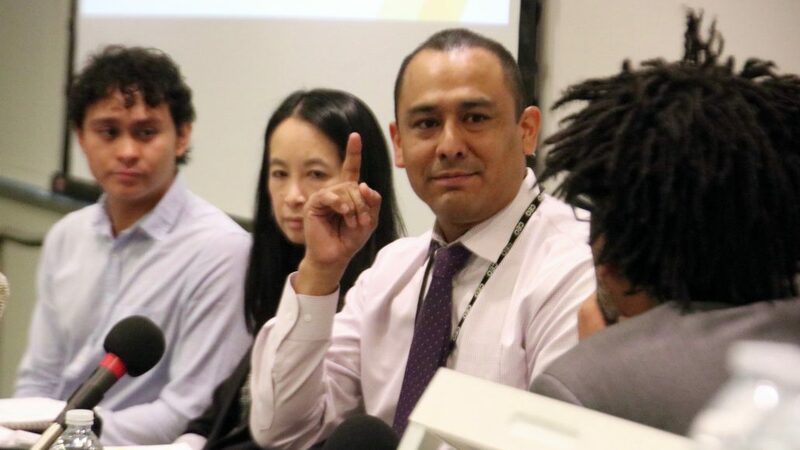 But as Juan Matute, deputy director of UCLA ITS, recently told LA Weekly, it’s important to remember that the disruption from new technology is likely to lessen over time. “Too Much and Not Enough” is a recipe for a crisis when it comes to rising rents and lack of available and affordable housing in Los Angeles County. 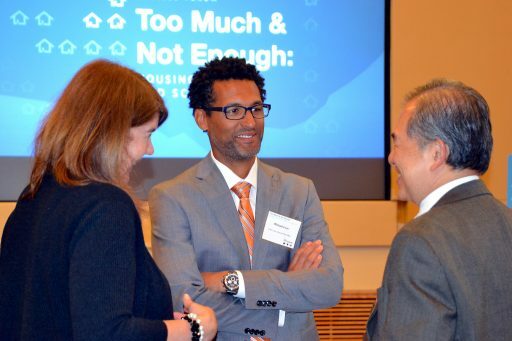 It also was an apt title of the UCLA Lewis Center for Regional Policy Studies’ 11th annual Downtown Los Angeles Forum on Transportation, Land Use and the Environment, held May 18, 2018, at the California Endowment. 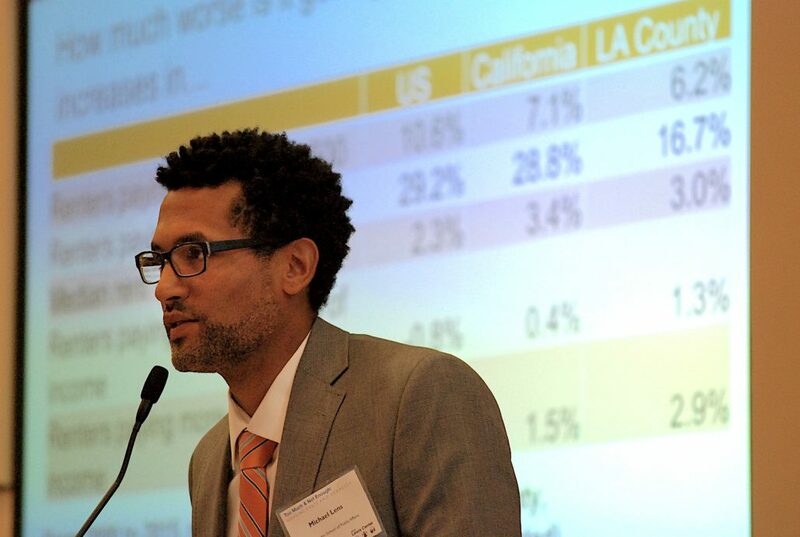 “The short story is the rent has been getting ‘too damn high’ for decades, and renter wages have not kept up,” said moderator Michael Lens, associate professor of urban planning and public policy at the UCLA Luskin School of Public Affairs. In the last few years, a threshold has been crossed as “more and more households cannot really bear the rising costs of rent,” Lens said, launching a day of debate and discussion on a nationwide problem that is acutely felt in the L.A. region, which is also beset by chronic homelessness. 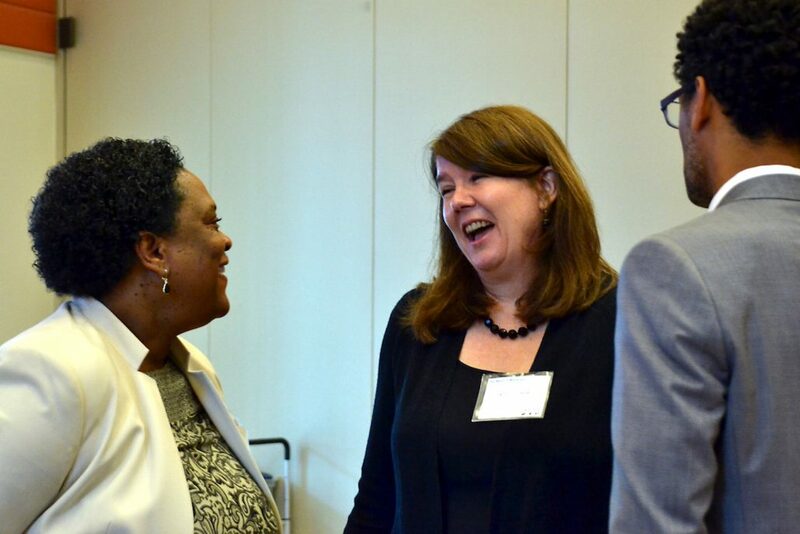 Experts representing academia, government and nonprofit organizations, as well as community stakeholders, came together to discuss problems, barriers and solutions to the multifaceted issue of affordable housing. “Research is pretty unequivocal that increasing housing supply is necessary to stabilize prices,” Lens said, but there is less certainty about what happens in neighborhoods that receive new housing supply or investment. 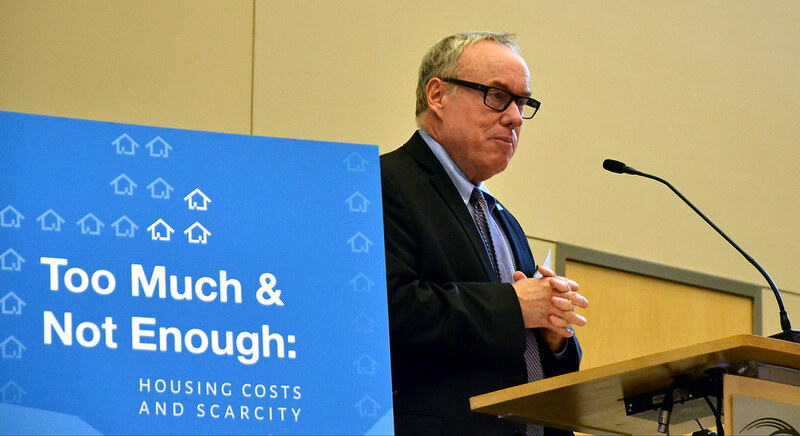 “Neighborhood dynamics certainly complicate any of our policy options or choices and solutions for increasing housing affordability,” said Lens, who also serves as associate faculty director for the Lewis Center. Paavo Monkkonen, associate professor of public policy and urban planning at UCLA, led the first panel of speakers, who looked at the causes and effects of the crisis from a variety of perspectives. Panelists included Isela Gracian, president of the East LA Community Corporation; Robin Hughes, president and CEO of Abode Communities; Shane Phillips, director of public policy at the Central City Association; and Carolina Reid, assistant professor of city and regional planning at UC Berkeley. Since 2000, half of L.A. neighborhoods built no housing at all, according to Reid. Citing gentrification pressures at the urban core, she said neighborhoods with the best transit access are building the fewest affordable housing units. “Planning isn’t helping,” she added, noting that California cities continue to include minimum lot sizes and restrictive zoning. Compounding the problem are lengthy permitting and regulatory requirements along with strong public opposition to some affordable housing projects. A second panel, led by Lens, addressed the politics of supply and evaluated possible solutions. Panelists were Becky Dennison, executive director of Venice Community Housing; Jackelyn Hwang, assistant professor of sociology at Stanford University; Jacqueline Waggoner, vice president and Southern California market leader for Enterprise Community Foundation; and Ben Winter, housing policy specialist with the Office of Los Angeles Mayor Eric Garcetti. Hwang weighed the pros and cons of rent control. She cited research showing that landlords do take advantage of “perverse incentives,” such as converting units to condos to become exempt from rent control — and consequently decreasing rental housing supply. But rent control also protects tenants, she said, noting that it encourages longer-term and elderly residents to stay in place, protecting them from displacement. “Put people first, share the power, and let people be part of the solution,” says keynote speaker Kathy Nyland, director of Seattle’s Department of Neighborhoods. Waggoner is a proponent of rent control but said the strategy should be regional and not just within the city. 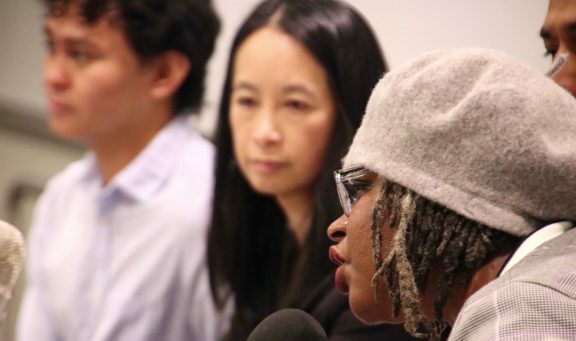 “If we want to stem the pipeline of people moving onto our streets, we have to come up with solutions that keep people in place, and that’s a moral issue, it’s a humanitarian issue, and it doesn’t rest with individual owners, it rests with all of us,” she said. 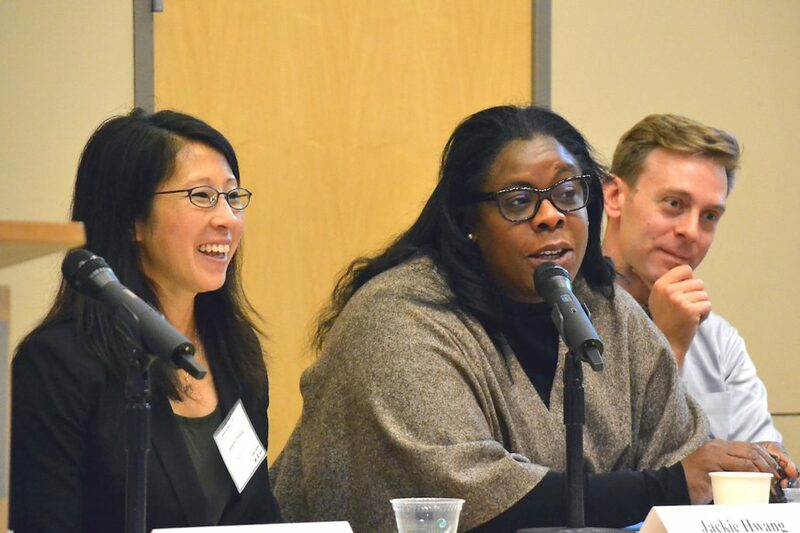 As director of Seattle’s Department of Neighborhoods, Nyland oversaw the overhaul of the neighborhood council system to emphasize inclusive outreach, equity and community engagement. 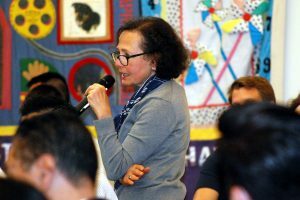 She said she has looked at affordable housing from several vantage points, having also served as chief of staff to a Seattle City Council member and as a senior policy advisor to the city’s mayor. Audience members had the opportunity to join the discussion, during the panels and at a reception that followed the conference.One of them was Tham Nguyen, a 2005 alumna of the Luskin Urban Planning master’s program, who is now a senior manager in transportation planning for LA Metro’s Office of Extraordinary Innovation. Though housing prices in Los Angeles are seemingly out of control, it may be control that can start to ease the burden for struggling renters. 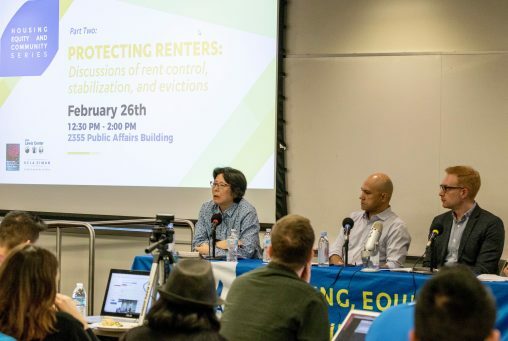 At a panel conversation held at the UCLA Luskin School of Public Affairs on Feb. 26, 2018, a trio of experts discussed the housing crisis in the area and the potential for new rent control and eviction protections to help stabilize living situations in Los Angeles. Lens noted that the most recent homeless data shows 57,000 individuals on a given night are without shelter — a 23 percent increase over the year prior. “The homeless crisis is an indicator of the housing issue in Los Angeles,” he said. Tony Samara, program director of land use and housing at Urban Habitat in the Bay Area, explained some of the major issues facing renters in California. The two most critical issues are lack of rent control policies and so-called just cause eviction protections. Most cities in California do not have such protections for renters, weakening the ability for tenants to plan ahead. Samara noted growth in advocacy campaigns by tenants’ rights groups aiming to broaden the scope of just cause protections and rent control. “These policies won’t solve all our problems but will at least provide more stability,” he said. 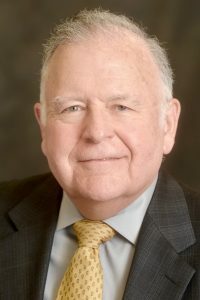 Doug Smith, a staff attorney at the pro bono law firm Public Counsel, is a 2013 alumnus of UCLA’s Urban Planning department and the UCLA School of Law. 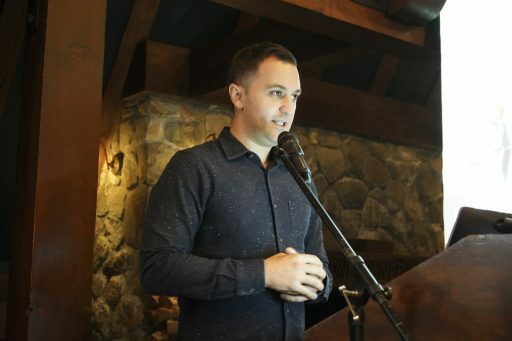 Smith spoke about how the effects on a community without tenant protections might force families into overcrowded, substandard living conditions — or even homelessness. “The consequences are really traumatic, and we’re seeing that played out in communities without these policies,” Smith said. Smith noted that four Los Angeles County cities — Beverly Hills, Santa Monica, West Hollywood and Los Angeles — do have some protections, but the other 84 regional cities do not. Joan Ling MA UP ’82, a longtime lecturer in Urban Planning at UCLA Luskin, noted the cost of housing for moderate-income Angelenos has risen tremendously in the past 20 years. One big obstacle to the spreading of tenant protections is the Costa-Hawkins Rental Housing Act, which blocked major rent control policies and allowed landlords to dramatically raise rents on units that become available. A repeal effort has stalled in the state government, though some Californians are working to place a measure on a statewide ballot to repeal the law. Beyond a full Costa-Hawkins repeal, Ling explained that rent control laws may be a disincentive to developers of new projects because they would be limited in their revenue generating. However, she said that compromise is possible. “You don’t have to say that all housing units will fall under rent control,” Ling said. For instance, housing 10 years old or older would be subject to it. Ling also noted that data show renters in areas with protections are more civically engaged and tend to remain invested in the community for longer than do tenants in unprotected neighborhoods. The event was the second in the Housing Equity and Community Series hosted by the Lewis Center for Regional Policy Studies. The forum was co-sponsored by the UCLA Ziman Center for Real Estate and the Institute on Inequality and Democracy at UCLA Luskin. It drew more than 60 students, faculty and community members. 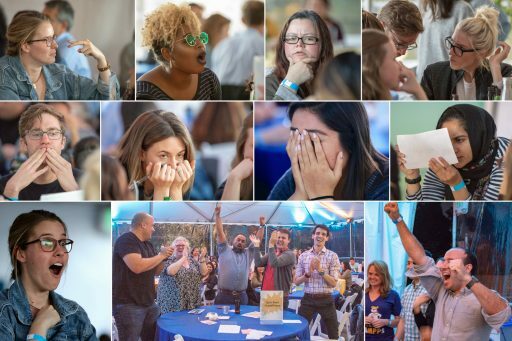 With nearly 60,000 Angelenos struggling with homelessness, local change agents have taken on the task of developing policies and services to address the crisis. 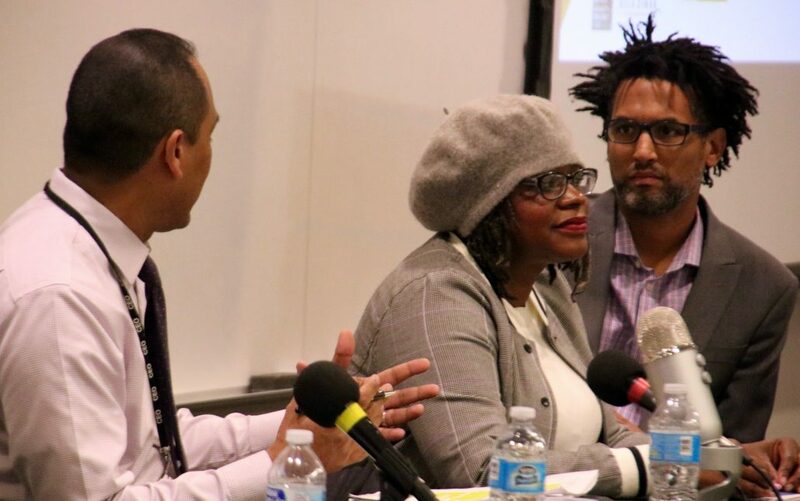 At a Nov. 15, 2017, panel discussion at the UCLA Luskin School of Public Affairs, four leaders in the field discussed the challenges and opportunities in finding solutions for the plethora of Los Angeles residents who do not have access to permanent housing. Michael Lens, associate professor of urban planning at the Luskin School, moderated the “Homelessness in Los Angeles” event. 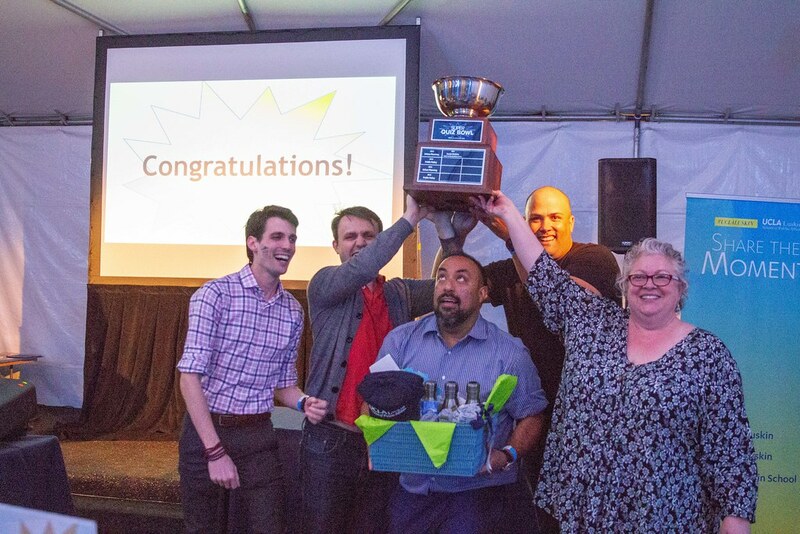 Other participants were Jerry Ramirez, manager of Los Angeles County’s homeless initiative; Dora Leon Gallo, CEO of A Community of Friends; Jordan Vega, a current UCLA student and a director of Bruin Shelter, a registered student organization; and Skid Row resident Suzette Shaw. Lens began the lunch program by noting some alarming homelessness statistics and emphasizing the importance of having the conversation. Lens pointed out that 34,000 of those people are in the City of Los Angeles. Within the city, 25,000 homeless are living “unsheltered” and 11,000 fell into the category of “chronically homeless. “These are large numbers historically, and they’re large numbers for any city,” he said. Gallo’s organization, A Community of Friends, works with the local government and other non-profits to provide permanent supportive housing for the homeless. The group, which launched nearly 30 years ago with a grant from the county’s Department of Mental Health, manages 47 buildings and provides in-house services in 18 of those buildings. 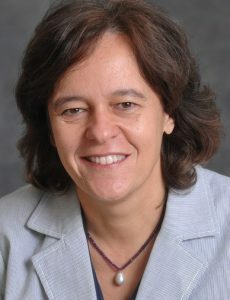 Gallo said that her group believes in a “housing first” approach to homelessness and that the model for permanent housing relies on subsidies that enable tenants to pay a fraction of their income in rent, no matter how small that income, without sacrificing the community aspect of living in Los Angeles. “There really was no housing provider out there that was providing housing that is affordable,” she said. “Our initial founders wanted to create a community where people would have friends. Earlier this year, L.A. County voters approved Measure H — a tax expected to raise $355 million for homeless services over the next 10 years. 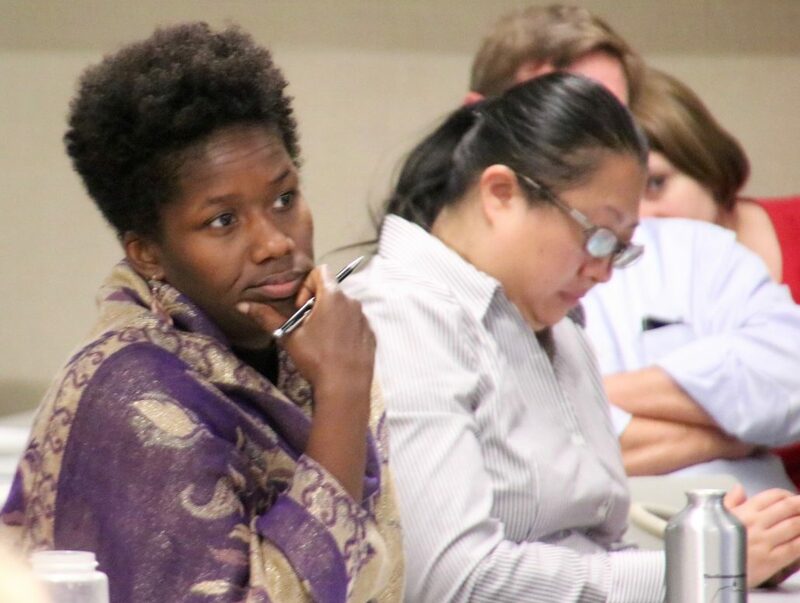 The county has developed 21 strategies for addressing homelessness and plans to use Measure H funding to increase housing and services for the county’s homeless. Separately, city voters in 2016 passed Proposition HHH — a bond measure that will directly fund new housing units for low-income and housing insecure Angelenos. Ramirez said that the county is hoping to bring in more partners like A Community of Friends to help map out the landscape for new programs and housing units to be funded under Measure H.
Not all services are being provided at the regional level. Vega helps run Bruin Shelter, which launched last year and currently provides beds for six housing insecure UCLA students. It is the first student-run shelter for peers in the country. Vega’s personal experience with friends who struggled with homelessness inspired him to take on the role at Bruin Shelter, which helps operate the shelter of Students4Students. 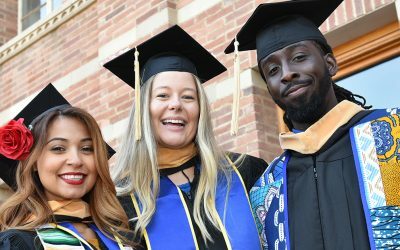 Students have access to UCLA medical and social welfare students who provide case management services. Suzette Shaw is a resident of Skid Row and knows firsthand the struggles that homeless people can face living on the streets. 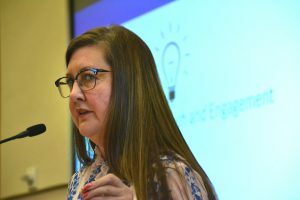 “We need to make sure that now that we have the dollars, we are intentionally allocating them and very proactive in allocating those funds to organizations and individuals who make sure that the dollars are addressing the needs of the people,” she said. Shaw used to run a business and commuted long distances to work to try to make ends meet before moving to Skid Row. She’s now living in a housing unit under her Section Eight voucher, which she had for nine months before receiving a unit. Shaw is very open about her story because people need to have more exposure to homeless in order to address the crisis. The issue is one of basic human rights for Shaw. “I may be poor and I may live on the brink, but I do deserve housing and housing should be a human right,” she said. 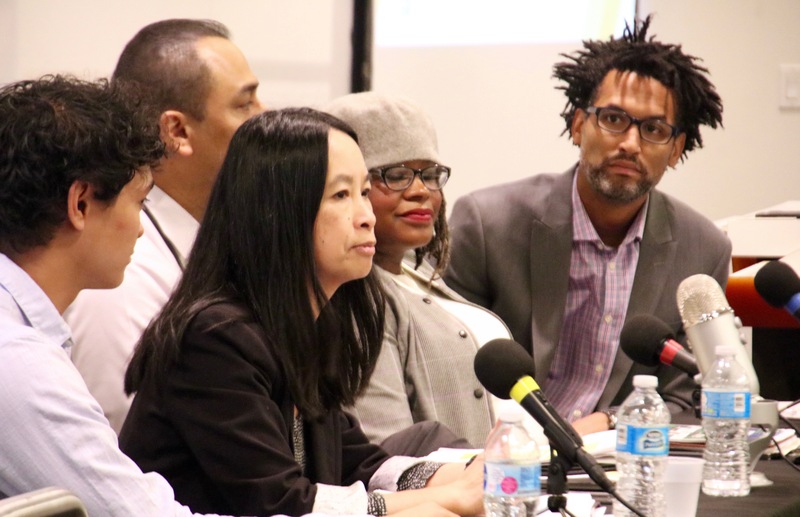 The talk was part of an ongoing Housing, Equity and Community series put on by the UCLA Lewis Center, which co-sponsored the event with the Institute on Inequality and Democracy at UCLA Luskin and the UCLA Ziman Center for Real Estate. The Lewis Center plans to hold more events in the winter and spring quarters on housing issues.